Bellhousing-to-Engine bolts 1600/1800/2000/2200 engines 51-65 ft. lbs. 2600 Engine 27-38 ft. lbs. 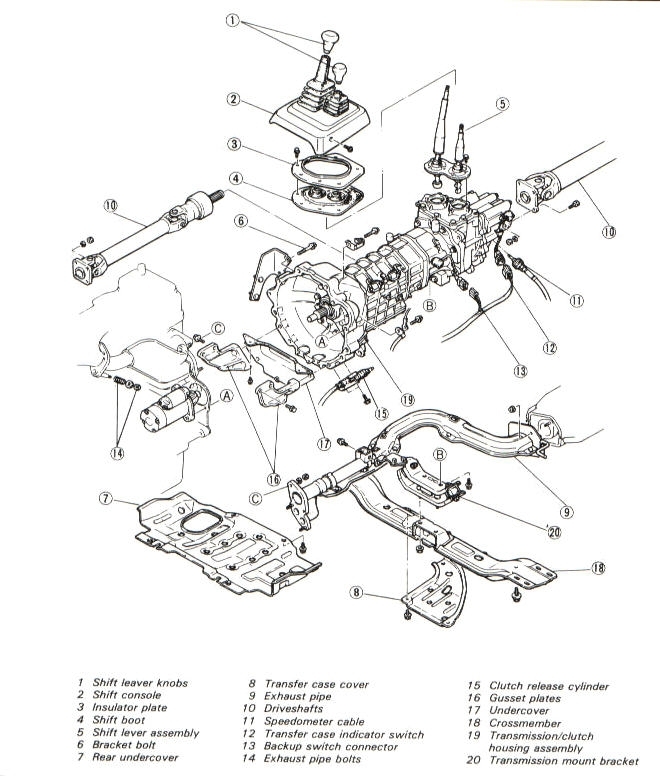 Transmission-to-Engine Bolts 27-38 ft. lbs. Torque converter-to-Flywheel bolts 25-36 ft. lbs. pressure plate-to-Flywheel bolts b1600, b1800, b2000 and b2200 13-20 ft. lbs. b2600 1988 and earlier 16-24 ft. lbs. 1989 and later 18-26 ft. lbs. center bearing support-to-Frame bolts 27-39 ft. lbs. center U-Joint yoke-to-Intermediate shaft nut 116-130 ft. lbs. u-Joint flange-to-Differential companion flange 1984 and earlier 40-47 ft. lbs. 1986 and 1987 36-43 ft. lbs. 1988 and later 20-22 ft. lbs. center Crossmember-to-Differential bolts 57 ft. lbs. center Crossmember-to-Frame bolts 69-85 ft. lbs. differential-to-Axle housing bolts 17-20 ft. lbs. freewheel hub cover-to-Hub body bolts 22-25 ft. lbs. front Crossmember-to-Frame bolts 57 ft. lbs. rear axle bearing retainer/Brake backing plate-to-Axle housing nuts 1984 and earlier 33-36 ft. lbs. 1986 and later (2wd) 65-80 ft. lbs. rear axle housing-to-Leaf spring U-Bolt nuts 1987 and earlier 47-57 ft. lbs. 1988 and later 62-101 ft. lbs. Wheel Lug nuts 1981 and earlier 58-65 ft. lbs. 1982-84 standard wheels 72-80 ft. lbs. styled wheels 87-94 ft. lbs. 1986 and later 87-108 ft. lbs. 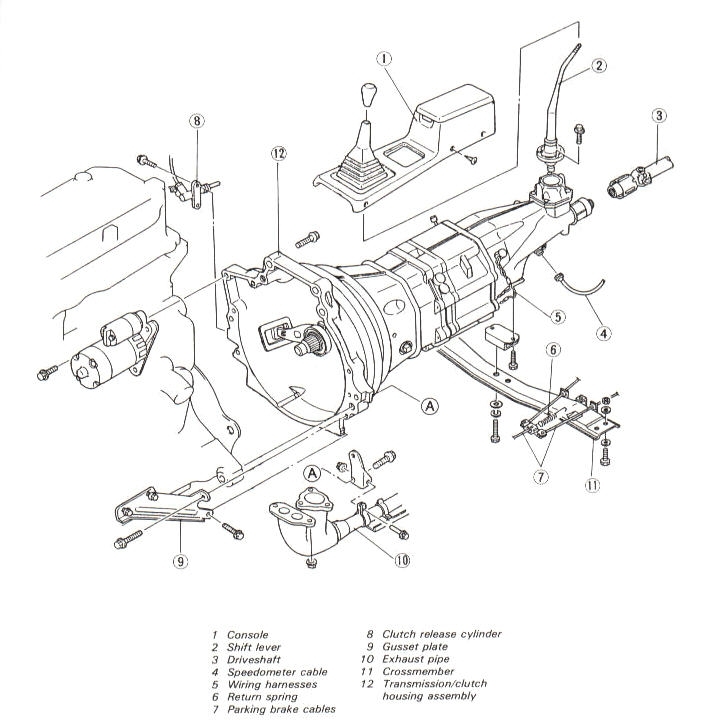 If your flywheel has washers on some bolts, you may have a flywheel with a special bolt. See the following pictures. Fig. 1 Flywheels With Odd Bolt. The bolt on the left is the normal bolt. 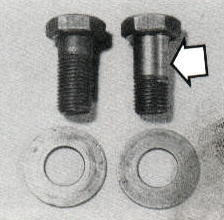 The bolt on the right is the special bolt. There is only one of the bolts on the right. Look for the mark on the flywheel next to the bolt hole for the special bolt. 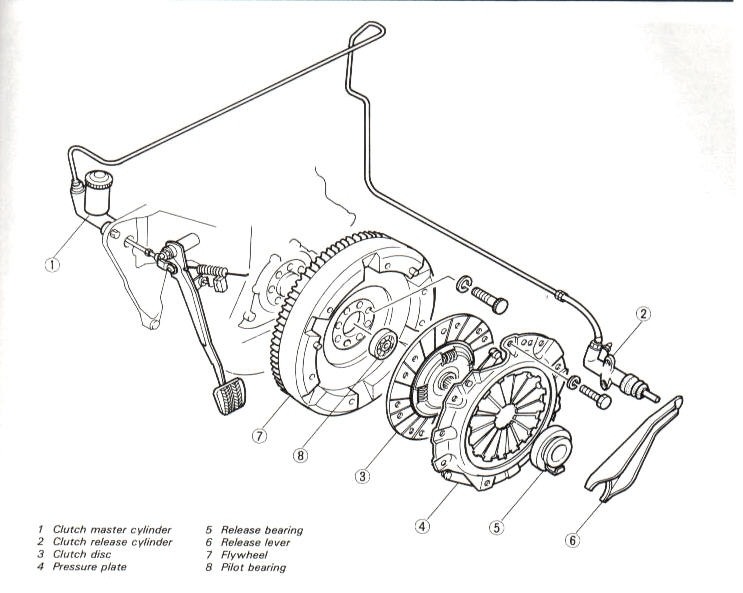 You will need this to align the flywheel with the crankshaft, when you reinstall the flywheel. Fig. 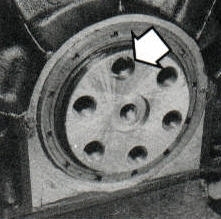 3 Mark On The Flywheel Next To The Special Bolt Bolt Hole. Line up the hole in the crankshaft, with the mark next to it for the special bolt, with the stepped hole in the crankshaft. 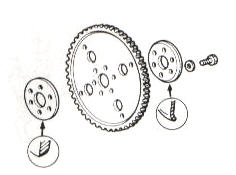 This is the way you align the flywheel with the crankshaft. Fig. 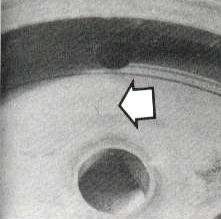 4 Stepped Hole In The Crankshaft For The Special Bolt. Fig. 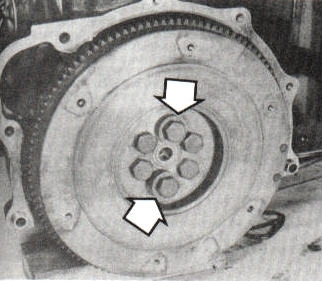 5 Automatic Driveplate (Flywheel). Fig. 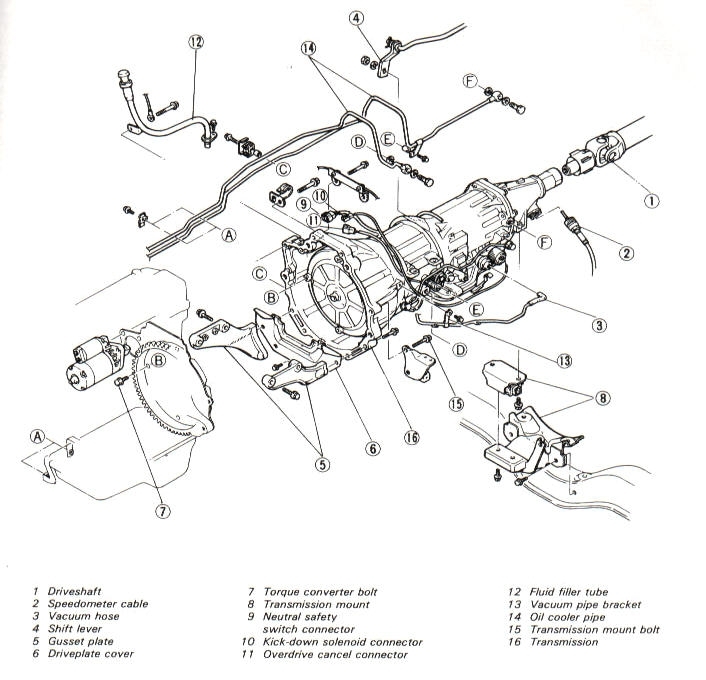 7 Typical Manual Transmission (4WD). Fig. 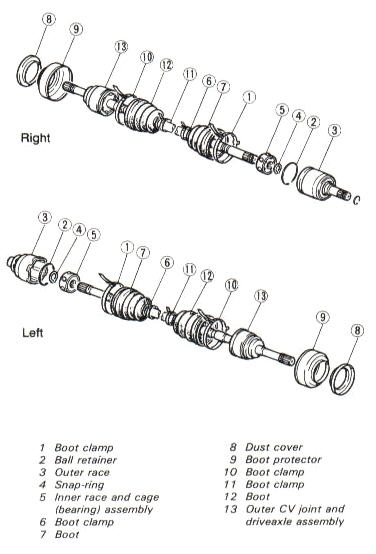 8 Typical Clutch Components. Fig. 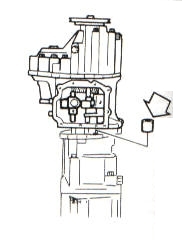 9 Typical Automatic Transmission (2WD). Fig. 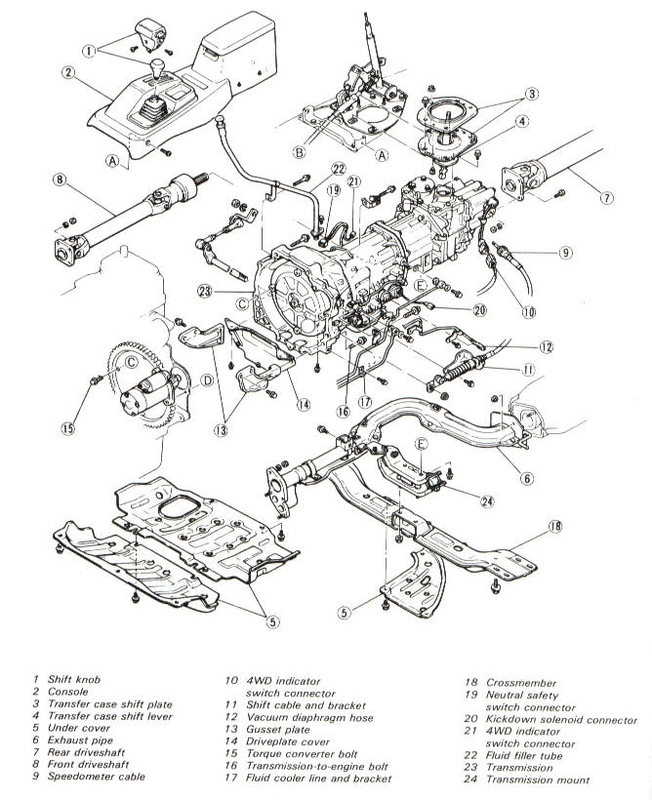 10 Typical Automatic Transmission (4WD). Fig. 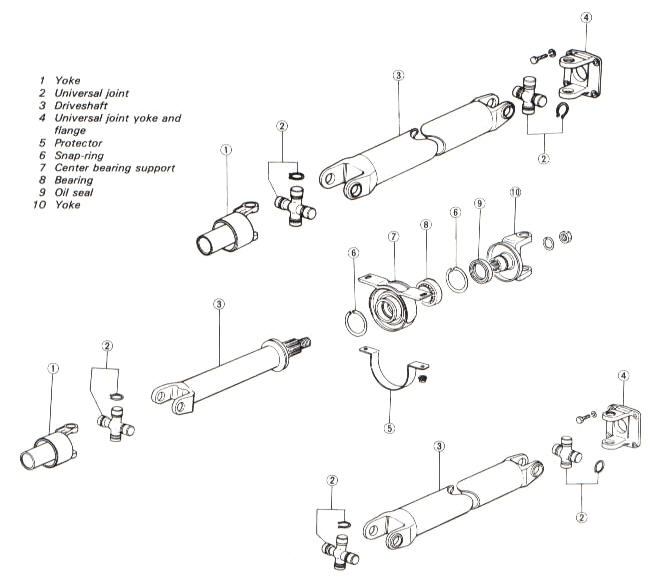 12 One And Two Piece Driveshaft Assemblies. Fig. 13 4WD Driveshaft Assemblies.